Cristiana Pegoraro latest CD release dedicated to original transcriptions of the most famous overtures by Gioacchino Rossini. 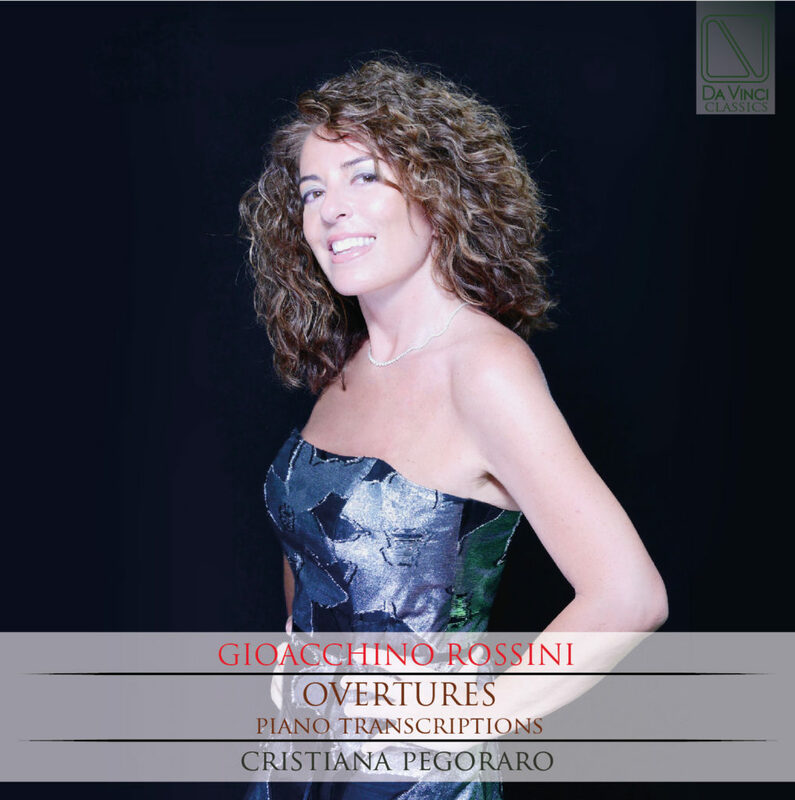 Prolific and daring composer, Gioacchino Rossini’s music comes alive in an original project of pianist Cristiana Pegoraro, a CD which features for the first time some of the most virtuosic transcriptions inspired to the music of the great composer from Pesaro: In addition to Il Barbiere di Siviglia, L’italiana in Algeri, La gazza ladra, Cenerentola, Semiramide, in an original version by Pegoraro herself, for the very first time you will hear nineteenth-century transcriptions of a great admirer of Rossini, Maximilian Josef Leidesdorf (1784 – 1840), which include La scala di seta, Il Signor Bruschino and Demetrius and Polybius. A musical journey which covers 10 years of Opera production of one of the most imitated and admired composers in the history of music, both for the evocative power of his music and for the refined genius that runs through every page of his creations. The double vision 1800/1900 which emerges demonstrates how each of these melodies can be reconsidered to belong to every age. Cristiana Pegoraro, pianist who has managed to combine a brilliant international career (from the United States to Asia, from Australia to Europe) with a humanitarian and civil commitment (testimonial Unicef, supporter of Amnesty International and Emergency), with this latest title fulfills a long-meditated project that gives new life to the genre of transcription, often wrongly stated as minor in the production of a composer, emphasizing its complete autonomy and artistic value.